David Kitz is an actor, an award winning author, and a retired public school teacher. For over twenty-five years, he has served as an ordained minister with the Foursquare Gospel Church of Canada. David has a Master’s degree in Biblical Studies, in addition to Bachelor’s degrees in both Arts and Education. His love for drama and storytelling is evident to all who have seen his Bible based performances. For several years now, he has toured across Canada and into the United States with a variety of one man plays for both children and adults. Though born and raised in Saskatchewan, David now lives in Ottawa, with his wife Karen. They have two adult sons, Tim and Joshua. Nice blog clean and great content as well. Hey David. I was just about to nominate you for the Versatile Blogger Award, but then realized that Chris Jordan already did so. Hi David, sooo glad to land on your blog, You have fascinating and inspiring stuff. God bless you and yours! Thanks, and God bless you as you let His light shine through you. I’ve nominated for the Liebster Award. No pressure. Thanks for the nomination. Some time ago I decided to decline blogging awards, but I appreciate your thoughtfulness. God bless you in 2016. Wow, what a background! My brother-in-law is an actor, and started in mime. I’m married to a teacher-back-to-school-now-college-prof. AND he likes to write books also. Just found your blog! Thanks, Dawn Liz. Blessings on you and yours. It’s good to know those connections. I attended the Canadian Foursquare National Convention two weeks ago in Victoria, BC. 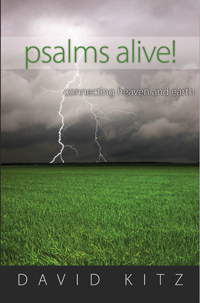 I love your focus here on themes in the Psalms! Glad to have found your blog. Keep on spreading the good news of the gospel. So many people need it. David thank you for dropping in and your comments. I will look forward to reading your post. May God speed your work for him. Thanks, Tom. God’s blessing be on you as well. Yes, Vanessa. Though I have a busy schedule, I would be interested in that. You can provide more details by contacting me by my email address posted above. I also have a book being released in July. Thank you so much for being willing to guest post. I will send the details to the email. Congratulations on your book and best of luck. Thanks so much for liking the post The Strawberry and its Core, on The Ruminant Scribe blog site. I appreciate and am humbled by your taking the time to visit. Blessings to you as you serve our Lord through your varied avenues of ministry. Linda, may you too blessed as you follow, Jesus. I would go through your blog often, I love it!